Dubai is a traveller’s paradise, as the city offers warm and welcoming weather, amazing activities and endless entertainment options, and – for the shoppers – an array of shopping outlets that sell everything from footwear to designer clothing, the latest gadgets to souvenirs. The variety of shopping opportunities is vast, meaning that no matter where you go, you will always have a completely different experience. Souks (or Traditional Markets): Dubai is home to a number of Souks, each selling an array of goodies that are too amazing to miss out on. The Gold Souk is the most popular souk, and sells shiny gold, beautiful gemstones and dazzling Arabic designs all at very reasonable prices. Other souks include the Spice Souk, Textile Souk and the Perfume Souk – all of which are self-explanatory in what they sell. Shopping malls: Dubai is home to a number of lavish and luxurious shopping malls, each filled to the brim with a number of outlets – The Dubai Mall has 1 200 different outlets alone – selling a variety or homewares, fashion items and gadgets. Some of the other malls in the city include the Mall of the Emirates and the Wafi Shopping Mall, to name only a couple. 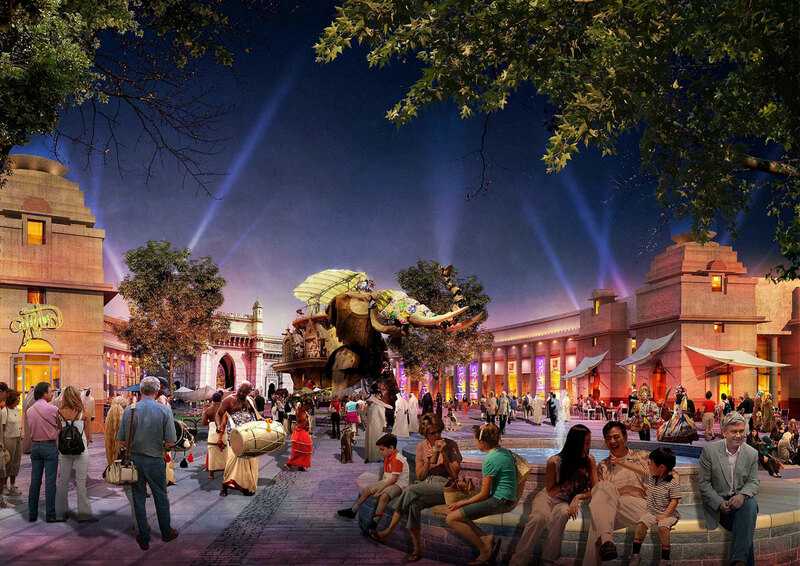 Entertainment complexes: most of the entertainment complexes in Dubai not only provide travellers with an array of entertainment options, but with a chance to indulge in a shopping trip, too. 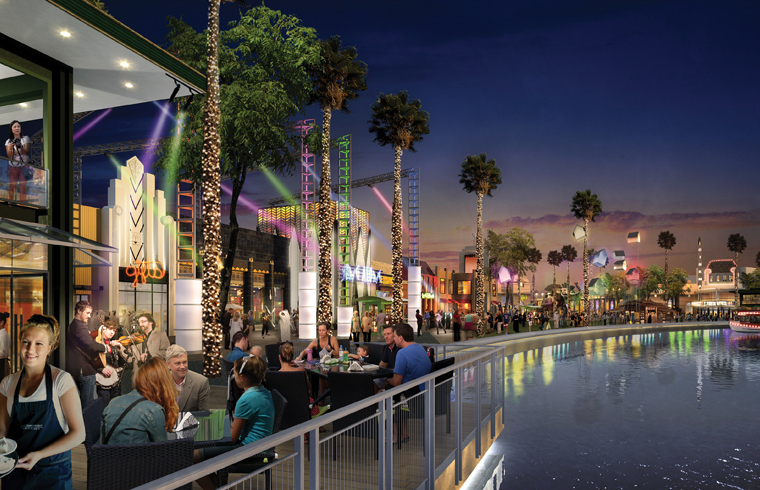 Riverland™ Dubai, for example, is just one of many Dubai attractions that combines entertainment and activities with shopping. At Riverland™ Dubai you will find four zones that take you through four very popular eras from our past, each of which is home to an array of offerings, one of which includes shopping outlets. The Dubai Shopping Festival happens once a year, and the occasion has become so much more than just a festival dedicated shopping, but an occasion that celebrates the city through nightly fireworks, beautiful traditional performances, and a number of cultural activities, too. However, when it comes to the shopping, you can expect crazy promotions, huge discounts, citywide sales, and raffles where the prizes consist of luxury cars. The Dubai Shopping Festival is hosted in January and February every year during the country’s winter, making it the ideal time to visit the city to enjoy the cooler weather (although it is still warm enough to swim and tan) as well as take advantage of all the crazy deals on offer! Dubai’s shopping hours are unique, with many shopping malls being open from 10 am until 10 pm, Sunday to Thursday, and from 2 pm on a Friday, which is the Muslim day of worship. When it comes to souks and other shops that are not part of shopping malls, they tend to close at noon for a meal, and reopen around 5pm. You will find that most of the locals shopping at night, making it the best time for you as a traveller to shop, too, as you will be able to mingle and people watch while you indulge in some goodies on your shopping trip. 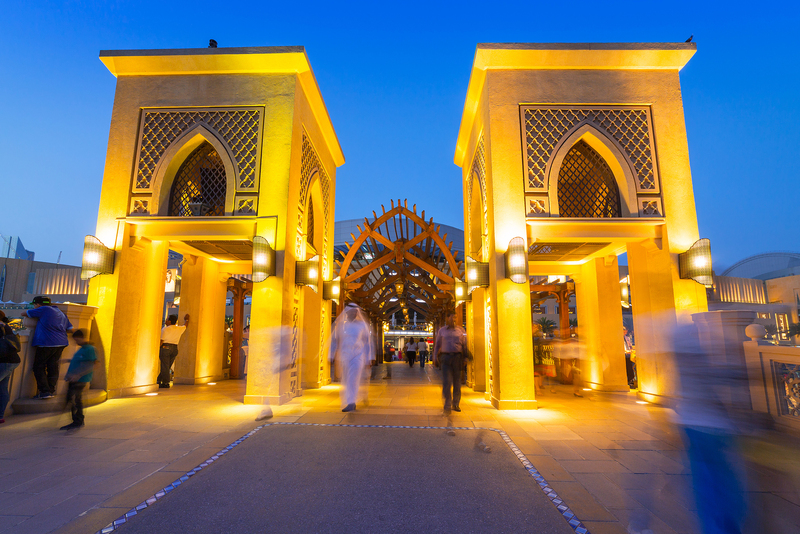 Dubai is the ideal place to shop until you drop, and these three points only prove that! Make sure you do a little shopping the next time you are in the city and pick up something to spoil yourself.